Product prices and availability are accurate as of 2018-12-13 17:59:11 EST and are subject to change. Any price and availability information displayed on http://www.amazon.com/ at the time of purchase will apply to the purchase of this product. 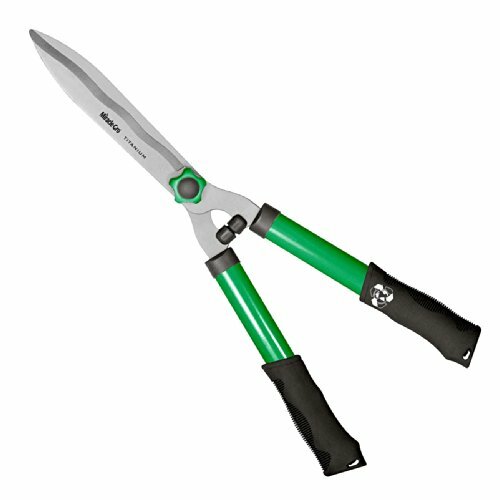 Features Titanium Bonded blades that are 3x harder than untreated steel and will stay sharper longer. Handle material is 70% recycled content and rubber is 100% recycled content. Packaging is post consumer content. Wavy blades for pristine cuts. Blade Tension Control. Corrosion and adhesive resistant. Lifetime Warranty. Green/Black handles. Powered by Clauss.